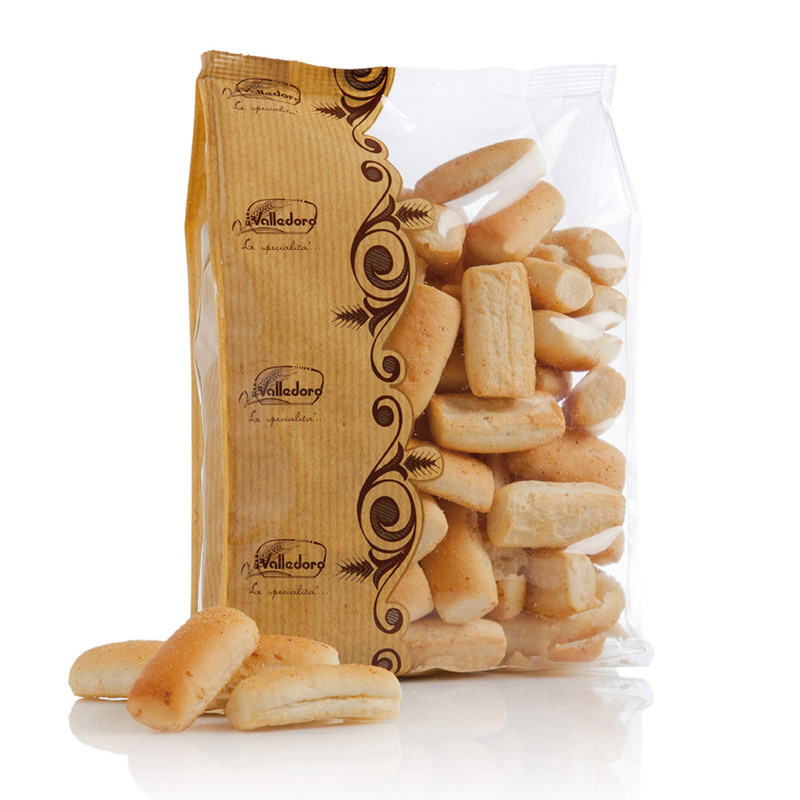 Deluxe is the new Valledoro breadsticks for catering. 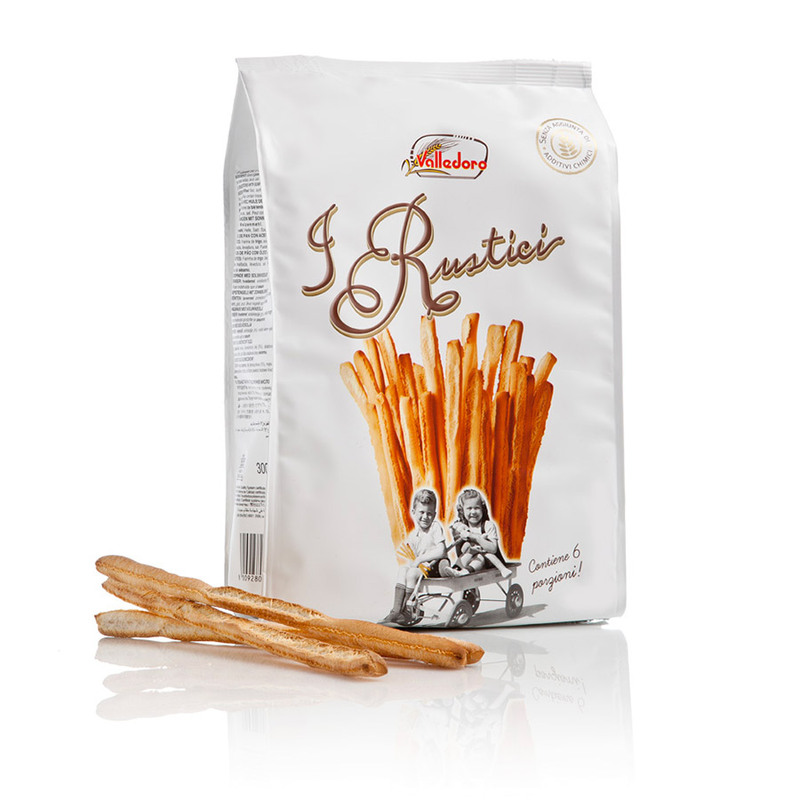 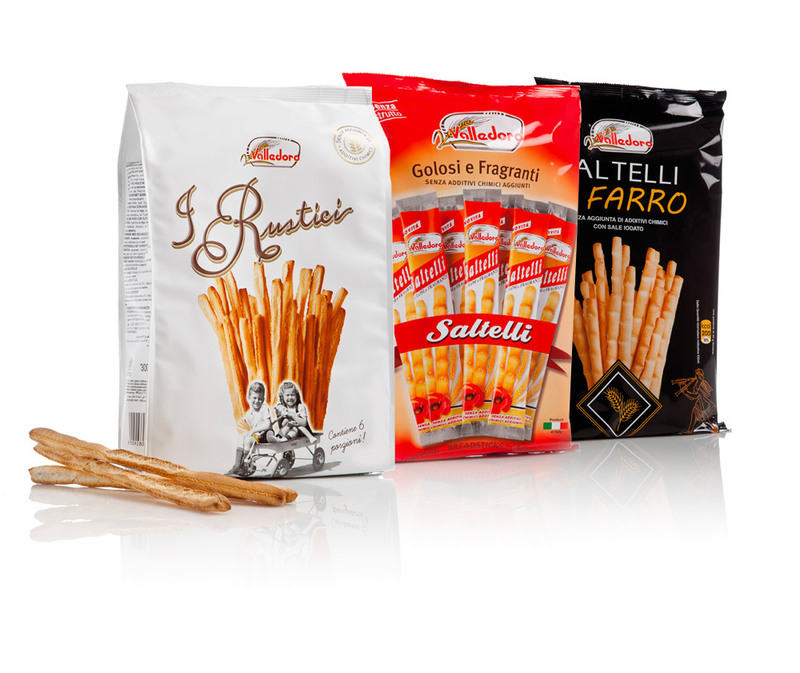 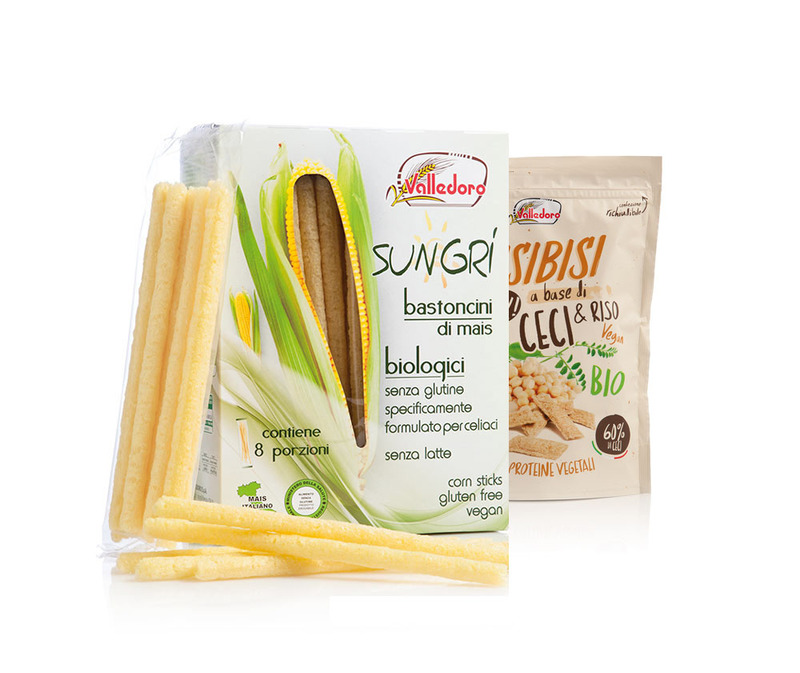 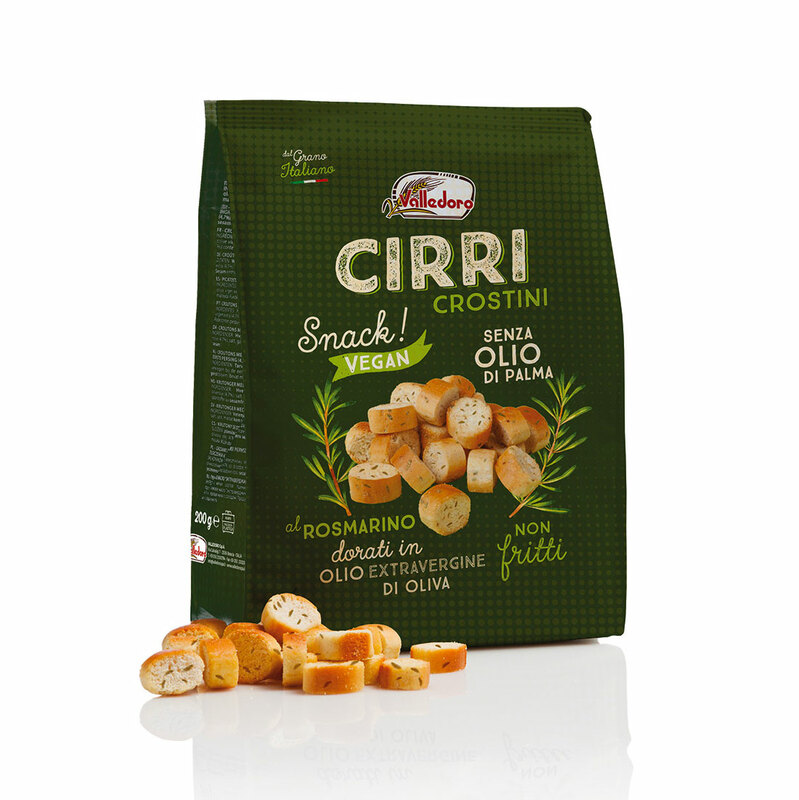 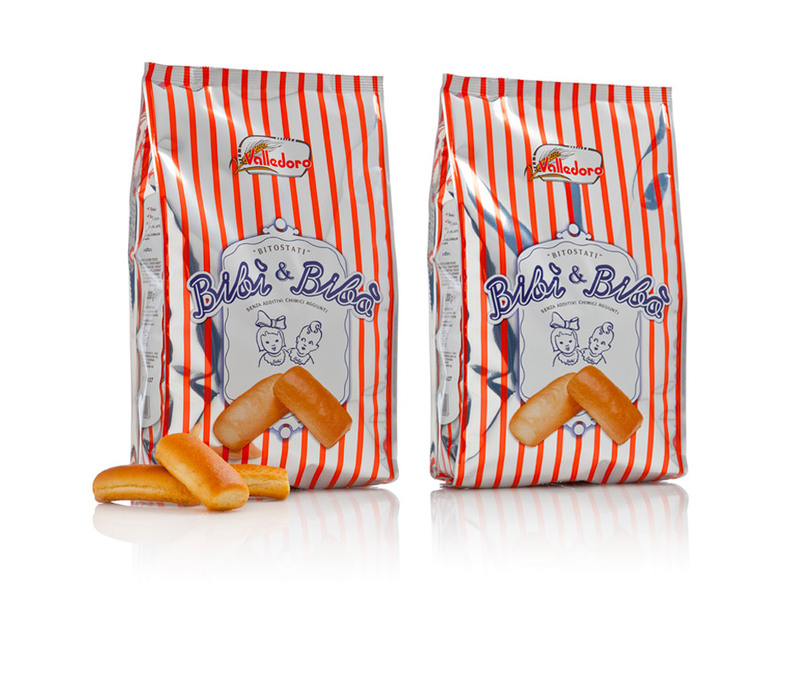 Deluxe is a 100% Italian soft wheat stick with high oleic sunflower oil and a pinch of salt on the surface. 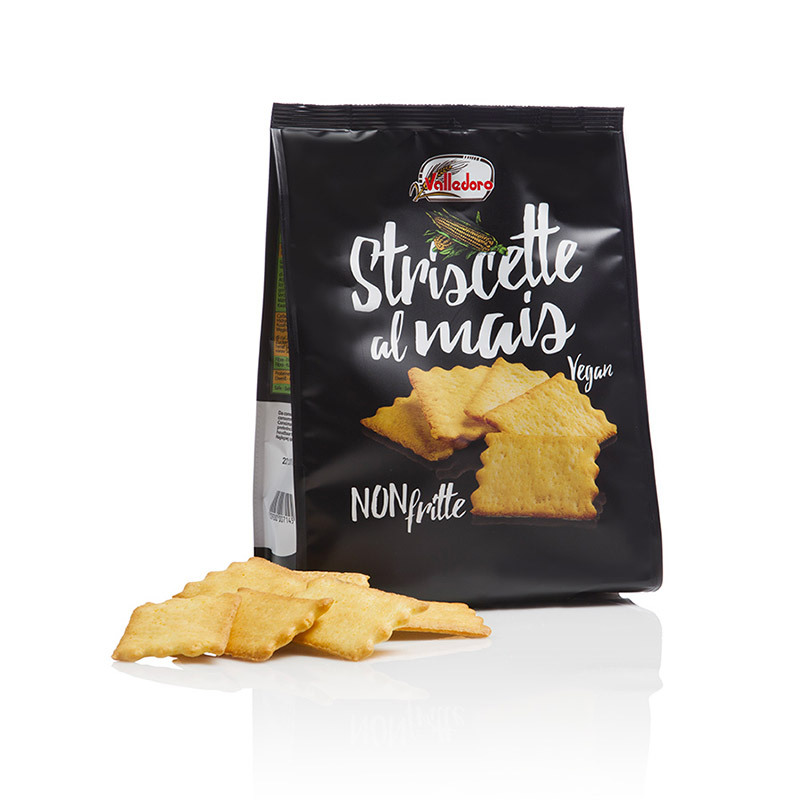 Thanks to a unique friability and to its rich taste, it is an excellent product both as a hunger and as an accompaniment to any preparation. 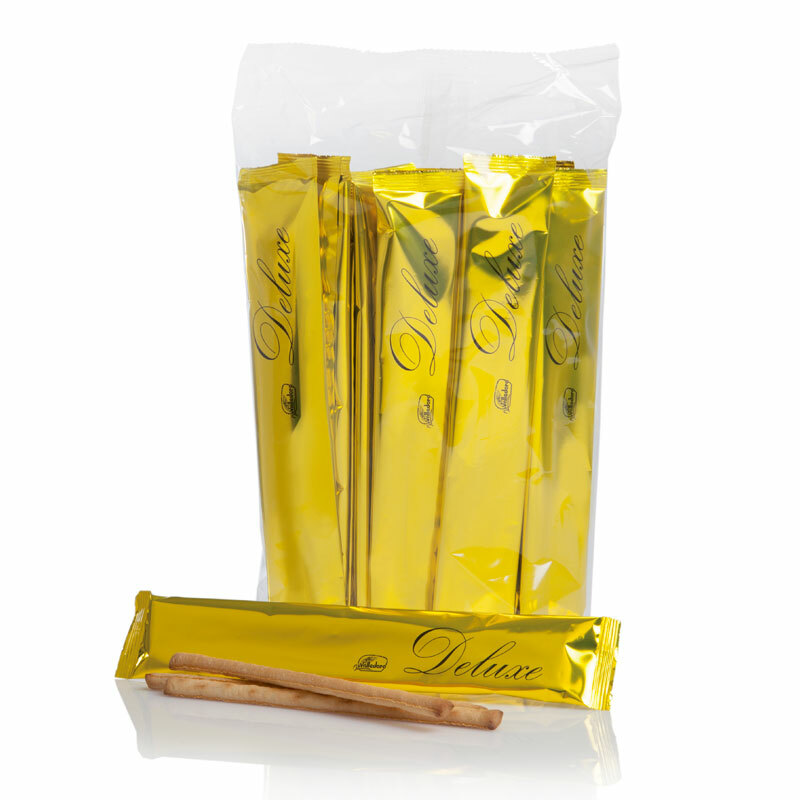 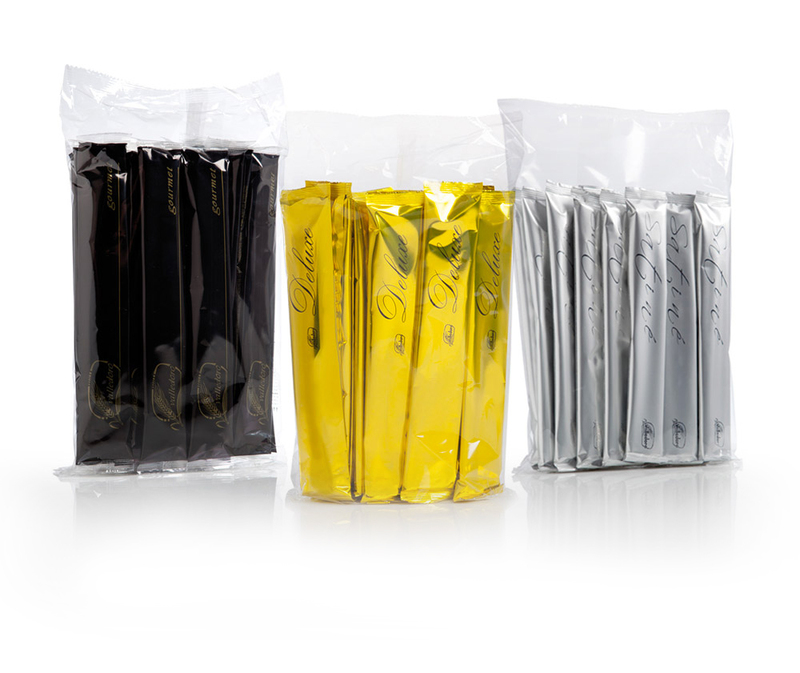 Packaged in extravagant gold envelopes are very recognizable and give a touch of originality to the table. 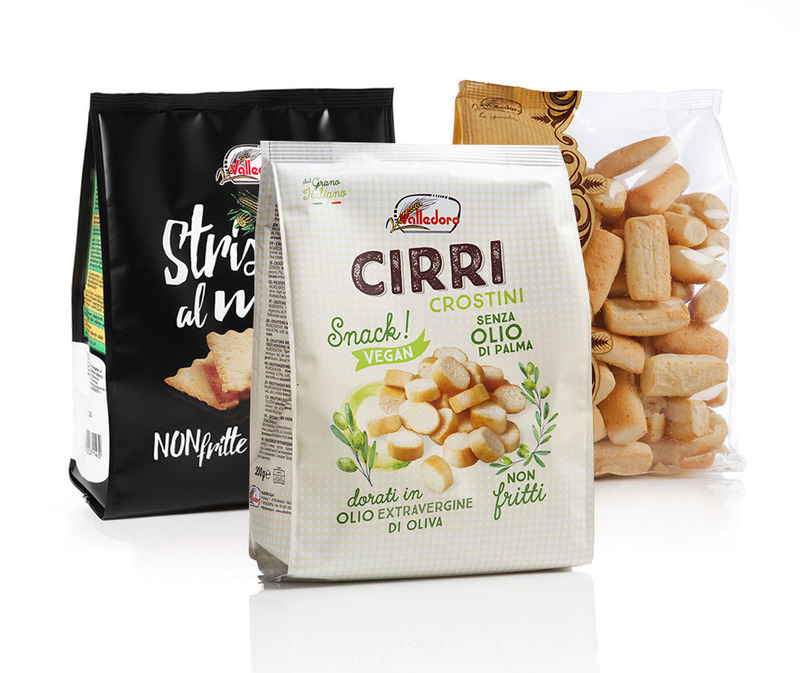 Deluxe completes the "monochromatic" range of Valledoro, which has always been attentive to the needs of catering, both in its form and in its substance.